Donald J. Trump is the forty-fifth president of the United States. He is the very definition of the American success story, continually setting standards of excellence while expanding his interests in real estate, gaming, sports, and entertainment. He was named the Hotel and Real Estate Visionary of the Century by the UJA Federation. 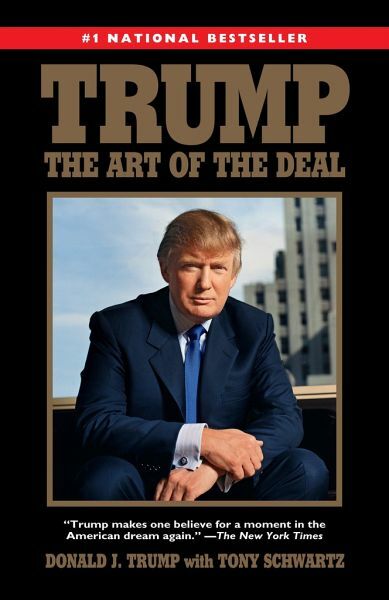 Trump is the New York Times bestselling author of many books, including Time to Get Tough, The America We Deserve, Think Like a Billionaire, How to Get Rich, Surviving at the Top, The Art of the Comeback, and The Art of the Deal. These books have sold millions of copies. An ardent philanthropist, Trump is involved with numerous civic and charitable organizations. "Trump makes one believe for a moment in the American dream again."